One of ICANN’s Seven Secret Key-Holders To The Internet got taken out as part of an elaborate heist or something on American TV this week. In tense scenes, a couple of secret agents or something with guns were forced to break into one of ICANN’s quarterly root zone key signing ceremonies to prevent a hacker or terrorist or something from something something, something something. The stand-off came after the secret agents or whatever discovered that a hacker called Mayhew had poisoned a guy named Adler, causing a heart attack, in order to secure his position as a replacement ICANN key-holder and hijack the ceremony. This all happened on a TV show called Blacklist: Redemption that aired in the US March 16. I’d be lying if I said I fully understood what was supposed to be going on in the episode, not being a regular viewer of the series, but here’s the exposition from the beginning of the second act. Botox Boss Lady: Seven keys control the internet? That can’t be possible. Neck Beard Exposition Guy: They don’t control what’s on it, just how to secure it. All domain names have an assigned number. But who assigns the numbers? Soap Opera Secret Agent: Key holders? Neck Beard Exposition Guy: Seven security experts randomly selected by ICANN, the Internet Corporation for Assigned Names and Numbers. Bored Secret Agent: Max Adler’s wife mentioned a key ceremony. Neck Beard Exposition Guy: Yeah, four times a year the key holders meet to generate a master key and to assign new numbers, to make life difficult for hackers who want to direct folks to malicious sites or steal their credit card information. Botox Boss Lady: But by being at the ceremony, Mayhew gets around those precautions? Neck Beard Exposition Guy: Oh, he does more than that. He can route any domain name to him. That’s the genuine dialogue. ICANN, jarringly, isn’t fictionalized in the way one might usually expect from US TV drama. The scene carries on to explain the elaborate security precautions ICANN has put in place around its key-signing ceremonies, including biometrics, smart cards and the like. The fast-moving show then cuts to the aforementioned heist situation, in which our villain of the week takes an ICANN staffer hostage before using the root’s DNSSEC keys to somehow compromise a government data drop and download a McGuffin. Earlier this week I begged Matt Larson, ICANN’s VP of research and a regular participant in the ceremonies (which are real) to watch the show and explain to me what bits reflect reality and what was plainly bogus. “There are some points about it that are quite close to how the how the root KSK administration works,” he said, describing the depiction as “kind of surreal”. “But then they take it not one but two steps further. The way the ceremony happens is not accurate, the consequences of what happens at the ceremony are not accurate,” he added. The ceremonies are used to sign the keys that make end-to-end DNSSEC possible. By signing the root, DNSSEC resolvers have a “chain of trust” that goes all the way to the top of the DNS hierarchy. The root keys just secure the bit between the root at the TLDs. 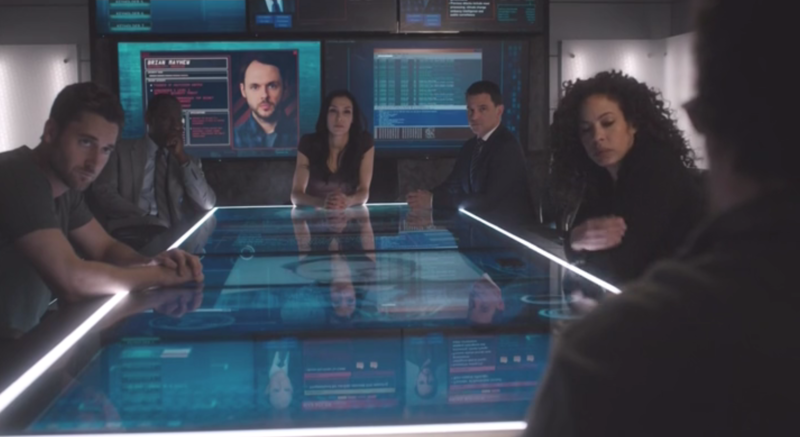 Compromising them would not enable a hacker to immediately start downloading data from the site of his choosing, as depicted in the show. He’d then have to go on to compromise the rest of the chain. “If you could somehow compromise the processes at the root, that alone doesn’t give you anything,” he said. But the show did present a somewhat realistic description of how the ceremony rooms (located in Virginia and California, not Manhattan as seen on TV) are secured. Among other precautions, the facilities are secured with smart cards and PINs, retina scans for ICANN staff, and have reinforced walls to prevent somebody coming in with a sledgehammer, Larson said. Blacklist: Redemption airs on Thursday nights on NBC in the US, but I wouldn’t bother if I were you.